I was down to about five minutes before I absolutely had to be out the door. I promised myself I’d stay in my office all day so no one would see my liner- and shadow-less eyes, my unblushed and unbronzed cheeks, or my naked eyebrows. Then I threw this foundation on with some mascara and clear lip gloss. Obviously I don’t look good, but gosh, my skin sure does! I can’t remember why I ever stopped wearing this in the first place. 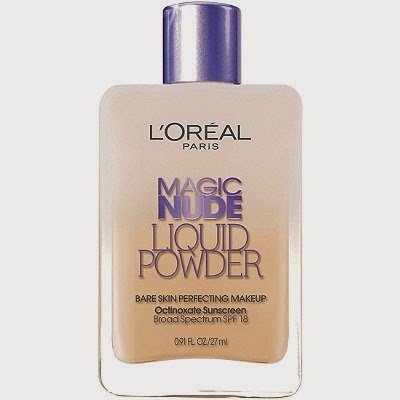 L’Oreal Magic NudeLiquid Powder, you’ve officially been promoted to the top makeup drawer.